We offer our clients Crude Drugs such as natural lemon grass. These are used to extract aromatic oil that can be used as flavoring agent and also in medicines and perfumes. We offer fresh herbal lemon grass at the most affordable prices. We offer superior quality crude drugs, which are naturally growing, unrefined substance.These are highly effective and are used to formulate various drugs and cosmetic products. 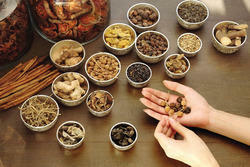 Herbal Crude Drugs, Ayurvedic, Herbal Products and Medicines, provided by Crystal Pharma. 4Blud is a Green Milk Research product developed by apex laboratories limited based on classical formula from ancient Texts. In order to make our products relevant and acceptable to the medical profession and common man, extracts have been validated scientifically and traditional claims have been supported by scientific data. Ayuverdic Country drugs Chemicals and Herbals. We offer high quality crude drugs.